From Rex Manning Day to David Bowie Day, unofficial and state-official music holidays are something we look forward to every year. Now, Metallica fans can look to November 18 as Blackened Friday (at least for this year). This Friday, the band has tons of awesome events planned in honor of their new Hardwired… To Self-Destruct album release. Dubbed by the band as Blackened Friday, almost 100 music stores will specially open at midnight for a day full of music, prizes, and giveaways. With every album purchase also comes a limited-edition vinyl slipmat and poster while supplies last, so make sure you get there early! Find out which stores near you will be participating here. That’s not all these rockers have planned, though. The “Nothing Else Matters” musicians will be performing an intimate live set at House of Vans London on Friday at 4:00 p.m. EST. Can’t make it to England? Don’t worry; the event will be livestreamed on the House of Vans website here so that no fans of the iconic heavy metal band have to miss out. They’ll be performing songs from the new album as well as hits from their old ones, so this is a show you won’t want to miss. 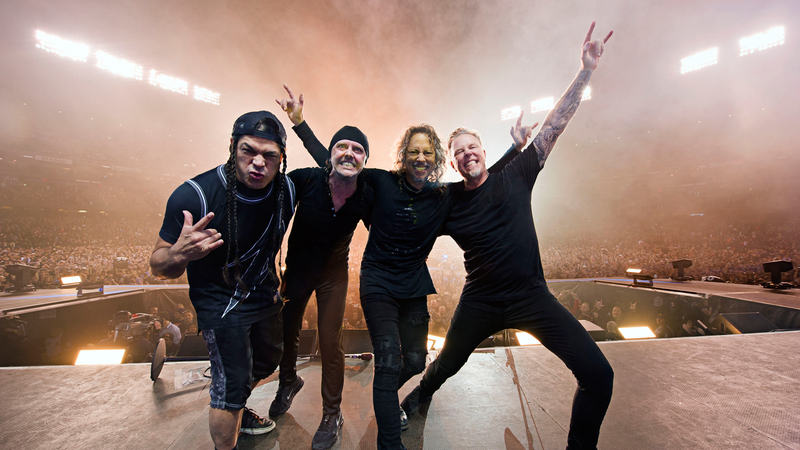 Mark your calendars for Blackened Friday and be sure to track Metallica on Bandsintown so you don’t miss them when they come to a city near you!